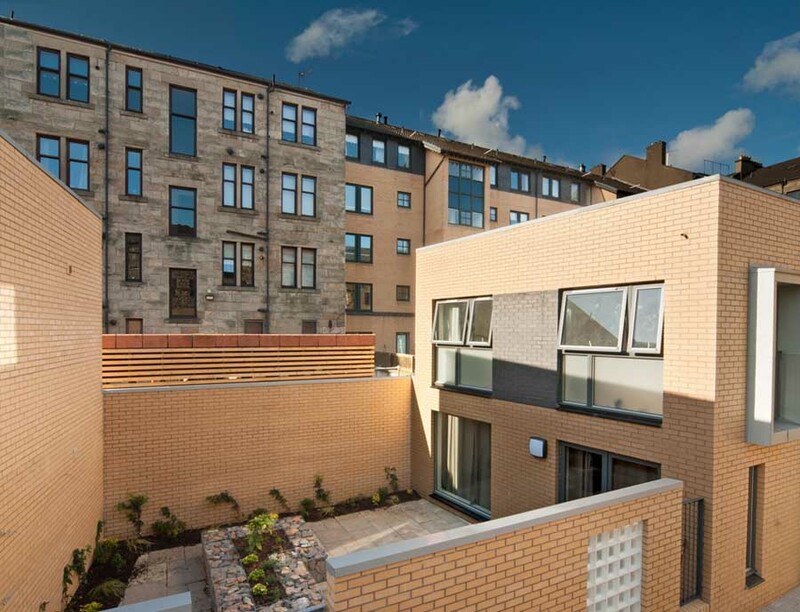 Collective Architecture has recently completed a housing development for Sanctuary Scotland Housing Association, located within the Anderston area within Glasgow’s City Centre. The building comprises 44 three, four and five person flats, 5 six person townhouses, and a commercial unit. The design strategy focused on the creation of a contemporary tenement building which seeks to maximise space and light for its residents. All the flats are dual aspect and glazing has been maximised to the front elevations to allow views out towards the south. The building follows the line of the street, reinforcing the historical street edge in the traditional tenemental fashion. Small gardens to the front provide privacy to ground floor flats and feature LED lighting to accent the corners of the flemish bond brickwork ‘plinths’ providing a contrast to the shadows cast by the sun during the day. The palette of materials is restrained, limited to brick and zinc. A textured brick with a handmade aesthetic is used on the main facades onto Argyle Street, Shaftesbury Street and Shaftesbury Lane. The lower two stories are articulated as a heavy masonry plinth, completed in projecting flemish brick bond which picks up on the architecture of the adjacent Victorian Savings Bank of Glasgow as well as the previous Anderston Station an important Victorian building, demolished as part of the comprehensive redevelopment plan for Anderston, undertaken in the 1960’s. The upper stories are gently removed from the ‘plinth’ by way of a recessed band of brick stretcher-coursing, above which the brick facade continues in the more familiar stretcher bond while the rear elevations are completed in a smooth brick, differentiating front and rear elevations, again with reference to the traditional tenement. To contrast with the brick, pigmento green zinc cladding is used in a vertical arrangement, to articulate two recessed five storey blocks as well as the window openings. Windows to the front and side elevations have a full brick return to emphasize solidity, and are completed with zinc cills and zinc soffits. 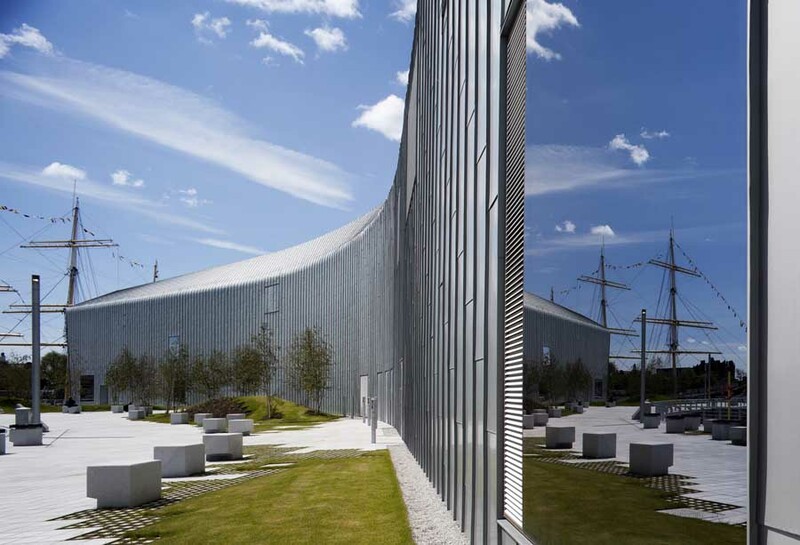 Powder coated aluminium window frames are painted to match the zinc cladding. Areas of zinc articulate windows within zinc bands at first floor level to all blocks, as well as within the town houses.